Mexican cusine lately became a real fashion. We could tell many things about the spicy, delicious food in Mexic, but today we would like to present you only one group of them, the antojitos, which are famous Mexican snacks. 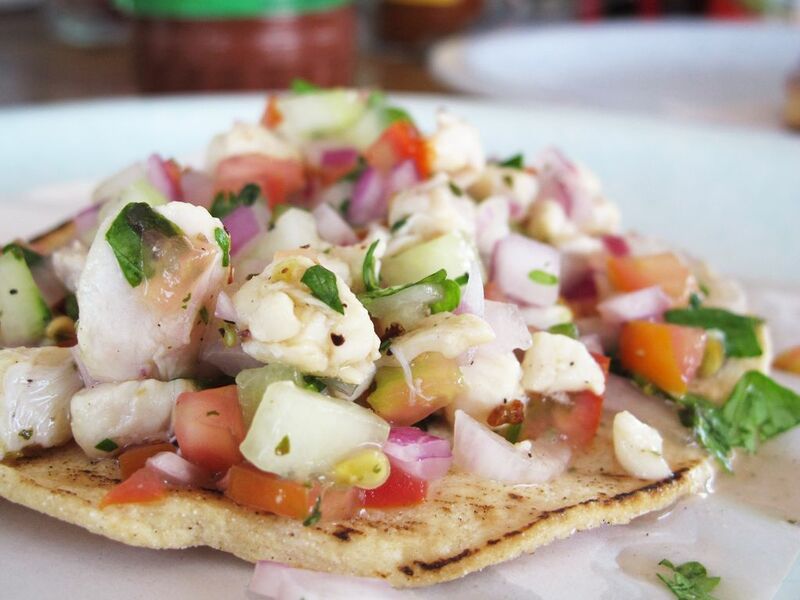 The ‘Antojitos‘ have a very important place in Mexican cuisine. The word ‘antojo’ translates as lust, but is not just a snack, it can be served as a dish or more of them as appetizers. 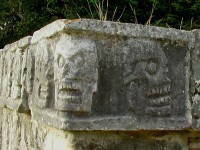 If we have only one piece, it is ‘tentempíe’, which would translate into ‘bite’. There are 8 kinds of antojitos, all based on corn dough. 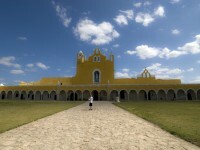 The main Mexican dish can be made of any type of meat, fish or vegetables, wrapped in a tortilla, served with sauce and garnished with onion and parsley. 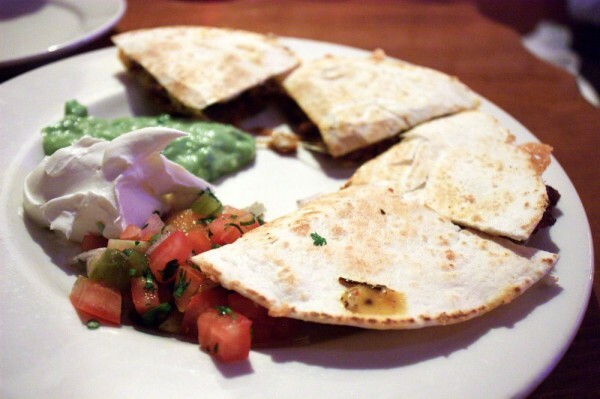 Wrap a tortilla in cheese, heat it on the grill and get a quesadilla (‘queso’ meaning cheese). You can find these antojitos in restaurants and on street filled with corn dough, lightly roasted and put on the grill until crisp. Fillers can be ‘chorizo’ (spicy sausage) and cheese, flower buds, mushrooms with garlic, ‘chicharrón’ (fried pork bacon), beans, braised chicken or other meat. 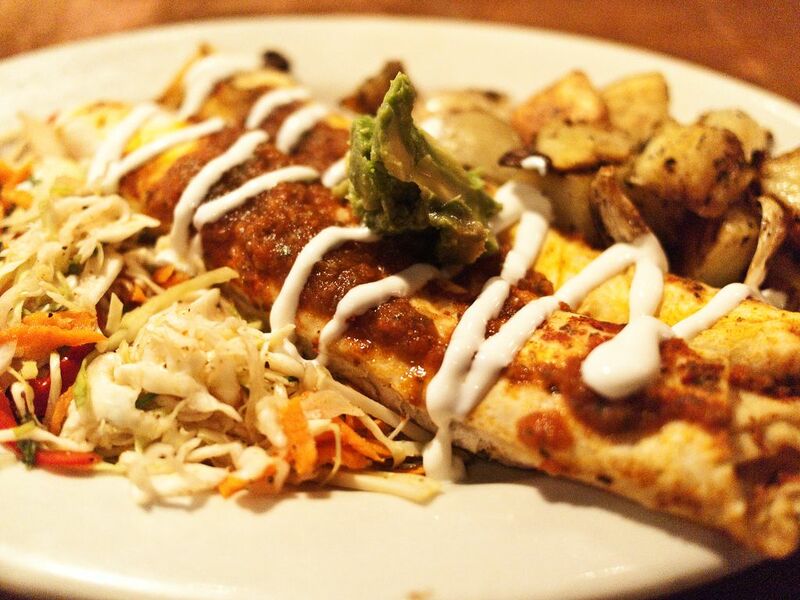 The enchiladas is a group of three or four tortillas, lightly roasted, filled with chicken, cheese and eggs and covered with salsa. It is usually served as a main dish. The tostadas are tortillas that were baked or fried until crisp, and then they are left to cool to be filled with everything. ‘Tostadas the pollo’ are filled with beans, chicken, sour cream, lettuce, onion, avocado and ‘queso fresco’ (fresh cheese). 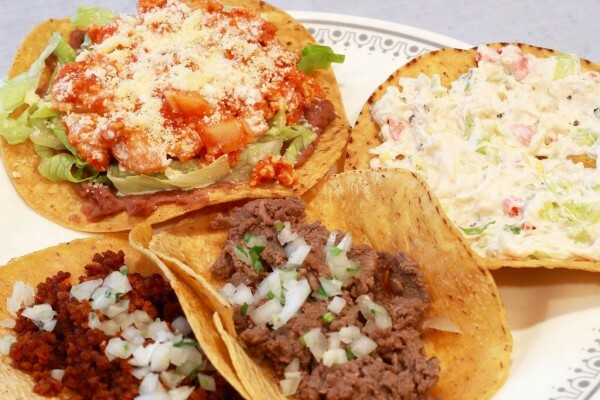 The sopes are small round pieces of dough, with only a few inches in diameter, made by hand and fried on the grill, filled with beans, salsa and ‘chorizo’ cheese, which is another frequently used topping. 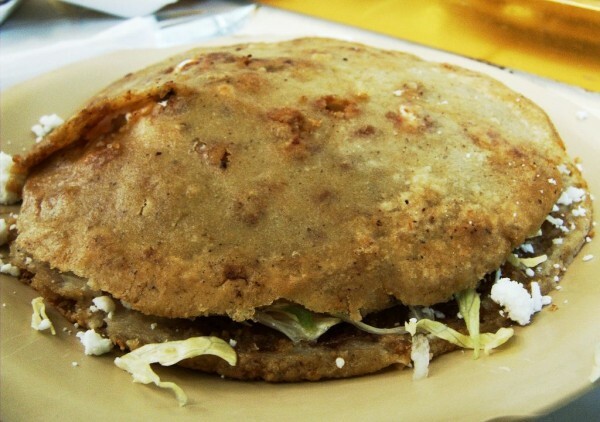 The gorditas are round pieces of dough that are baked until they become fluffy. 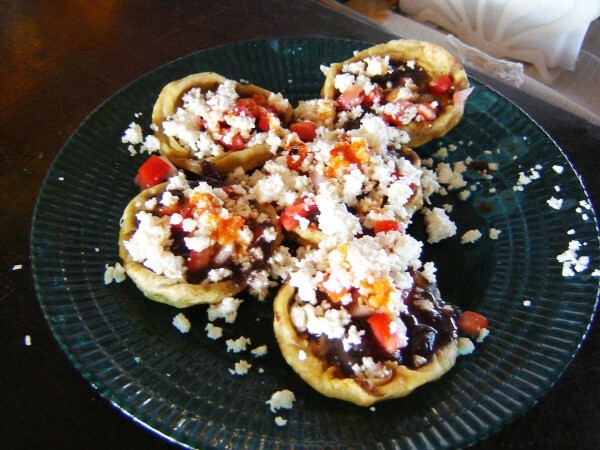 Some of these Mexican snacks are filled with black beans, fritillary or even peas. 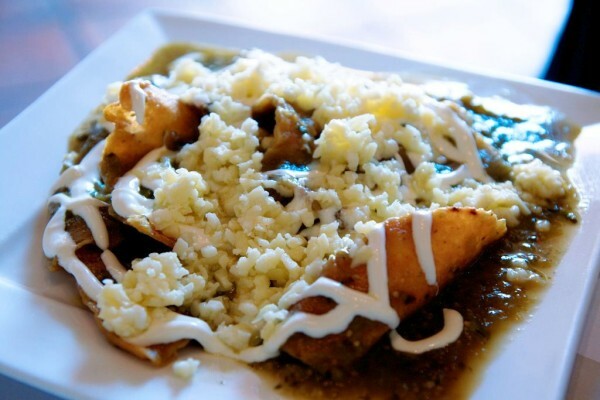 The chilaquiles are corn tortillas cut into triangles and fried until crisp, then cooked in tomatillo (‘chilaquiles verdes’) or tomato sauce (‘chilaquiles rojos’), until they become soft. 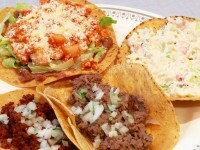 At this stage, grated cheese is put over them, then sliced ​​onions and a traditional Mexican sour cream. 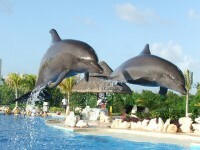 This antojitos is usually served for breakfast. Tamales is a Mexican snack with corn dough mixed with fat, filled with meat, fish or vegetables, all wrapped and cooked in steam. 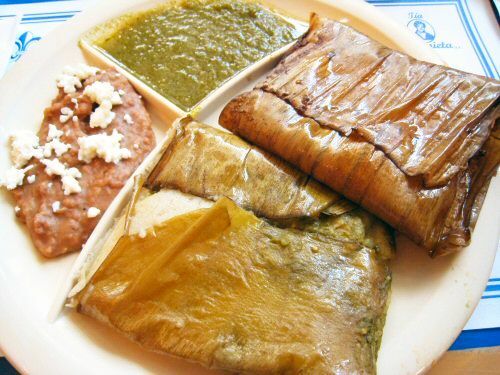 Each region has its own variety of tamales, the most famous being the Oaxacan style, with ‘mole’ and wrapped in banana leaves and one in Mexico City, with chicken and green tomatillos, wrapped in corn husks.